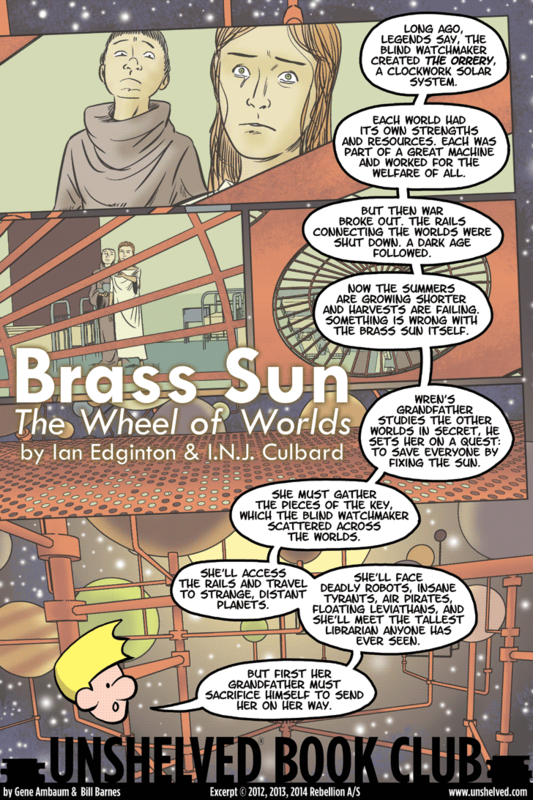 Contains material originally published in 2000 AD 1800 - 1811, 1850 - 1861, and 1888 - 1899 and also in Brass Sun #1 - #6. Shortly after she was born, Amy had a stroke which left her with severe cerebral palsy. The doctors told her mother she would never be able to lift her head or walk, but she proved them wrong. Through hard work and her mother's determination and systematic trainings, Amy has not only learned to move about on her own, she excels academically and is preparing for college. Now Amy is in her senior year of high school, and she wants to change things up. Throughout school she has not only had to rely on a walker and a machine that helps her speak, she has had an adult aide by her side every minute and has barely interacted with other students. This never really bothered her until Matthew tells her how impossible it is for anyone to treat her normally because she always has an adult by her side. Amy convinces her mom to hire students to help her, in the hope that it will give her a chance to make friends (especially with Matthew). Why I picked it up: I was really skeptical about a book the publishers are trying to sell as a combination of The Fault in Our Stars and Eleanor and Park, since those are the two hottest, non-dystopian teen books right now, and it sounded like an impossibly ambitious sales pitch. Plus, one of my dearest friends has a relatively mild case of cerebral palsy, and I wanted to read a book that might give me more insight into her condition, especially what it might have been like as a teen dealing with its challenges. Why I finished it: Matthew suffers from disabling OCD, and has closed himself off from others because of fears that constantly grip him. When Matthew finds out that he and Amy were born a few days apart in the same hospital, he starts to worry that her condition is somehow his fault. He doesn't realize that Amy (and pretty much the rest of the school) are aware of his various ticks until she confronts him, and starts giving him assignments to try and deal with them. I could totally relate to how overwhelmed and frozen Matthew becomes when things make him deeply uncomfortable, and for his constant concern about doing the absolute best thing. It's perfect for: My friend Glory, who majored in Disability Studies in college, and would love how this book takes two seemingly super messed up people and shows they’re no more challenged or broken than anyone else. McGovern does a beautiful job of showing the inner lives of isolated characters. I have anxiety (it’s mostly social, around entertaining) and simply ridiculous OCD (you would not believe how many rules my pillows and hangers seem to have), so I know how easy it is to get wrapped up in my own head and forget that other people struggle with their own quirks and fears. This book reminded me that I should not only be grateful that I’m high functioning, but that I have lots of friends who would appreciate it if I reached out more and connected with them. A teenage girl awakens to find herself trapped in a coffin. She has no idea who she is, where she is, or how she got there. Fighting her way free brings little relief—she discovers only a room lined with caskets and a handful of equally mystified survivors. Yale University Press, 2015. 9780300166316. Microsoft Research guru and internet scholar boyd (editor’s note: she spells it uncapitalized) studies the many ways teenagers use social media to connect and make sense of their lives. Dating back to the MySpace era and continuing to the present day, boyd’s interviews with teens from across the country reveal insights into the misunderstandings and unfounded fears that adults have about their social media use. From bullying and drama to the realities of sexual predation, It’s Complicated offers a welcome reality check from our breathless, worst-case scenario assumptions about young people and the internet. Why I picked it up: I’ve worked with the high school kids at my church for more than ten years, and am always interested in learning more about what they want and need from the world. Plus, as the mother of a socially precocious ten-year-old, I’m only a few years away from dealing with this online world in my own house. Why I finished it: This is not a pop-science fluff piece. boyd is a serious researcher, and can drop knowledge about adolescent psychology, addiction, and computer algorithms with ease. Yet it’s not a dry, academic tome either: the frequent pop-culture references and refreshing real talk from teenagers keeps the book rolling along. It's perfect for: Sparking or supplementing discussions about persistent racial inequality in contemporary society. One of the most compelling sections for me was boyd's exploration of the racial and ethnic lines drawn between Facebook and MySpace when the latter was still a major player in social media. Black interviewees preferred MySpace’s customization options over the "boring" layout of Facebook pages, while white interviewees turned away from MySpace because it was "trashy" and "ghetto." This self-segregation had broader implications; teenagers at supposedly diverse schools nonetheless had social media friend lists made up almost exclusively of people of their racial or ethnic background. boyd argues that the "why do all the black kids sit together in the cafeteria" phenomenon continues to play out in social media. St. Martin's Griffin, 2015. 9781250070456. The students in homeroom 10B get a mis-marked flu vaccination that turns them all telepathic. Mackenzie worries her boyfriend Cooper will discover she cheated on him in a moment of weakness. Olivia has always worried what others think of her, now finds out the truth. Tess has loved her best friend Teddy forever, and is devastated to learn he likes her but lusts after someone else. And Pi, who has always believed in her exceptionality, sees how telepathy could be used to control the adults around her, from acing tests to blackmailing school administrators. Why I picked it up: I enjoyed the author’s Magic in Manhattan series, which was fluffy fun with a heart, and I loved the premise of this one. Why I finished it: Mlynowski really picks up the self-consciousness of being a teenager, which makes this far-fetched plot seem perfectly normal. There’s a moment when Olivia is about to give a speech to her class but is overwhelmed by people's thoughts about lunch, being bored, wondering if Olivia is sick, and nose picking. Readalikes: Meg Cabot's Princess Diaries series, whose narrator also has a humorous self-consciousness. And Libba Bray's Beauty Queens, in which multiple narrators also jockey to find their place in an unlikely situation. St. Martin's Griffin, 2015. 9781250047861. From the author of The Good Sister comes a gripping novel about two sisters who learn that there are things in life—love, loss, and self-discovery—that you simply can't prepare for. He prepared their family for every natural disaster known to man—except for the one that struck. When Nicole Reed's father forces her family to move to a remote area of the Sierra Foothills, one without any modern conveniences, it's too much too handle for her mother, who abandons them in the middle of the night. Heading out to track her down, Nicole's father leaves her in charge of taking care of the house and her younger sister, Izzy. For a while, Nicole is doing just fine running things on her own. But then the food begins to run out, the pipes crack, and forest fires start slowly inching their way closer every day. Wolf, a handsome boy from the neighboring community, offers to help her when she needs it most, but when she starts to develop feelings for him, feelings she knows she will never be allowed to act on once her father returns, she must make a decision. With her family falling apart, will she choose to continue preparing for tomorrow's disasters, or will she take a chance and really start living for today? Knopf Books for Young Readers, 2014. 9780385753463. Alex just moved to town with his divorced mother. One thing he can count on is playing varsity football, even though he is a freshman. He has a golden arm plus a real knowledge of the game. But right off the bat, he finds out he will probably sit on the bench behind Matt, the coach's son and a very good quarterback. Alex thinks he is better than Matt, and most people agree, yet Alex struggles to get time on the field. At the same time, things are heating up between Alex and a girl who covers football for the school newspaper. Alex's dad keeps promising to travel down for the games, but since he lives a ways away, he doesn't keep his word very often. When Matt is injured in a game, Alex gets his chance to show what he can do. Why I picked it up: I have students who demand books with football in them, and I know Feinstein is a good author. Why I finished it: There is lots of football drama as the team advances through the playoffs, but also a healthy dose of off-field drama with a coach who is favoring his son, a little romance, and some family issues. It is a winning formula without seeming formulaic. Feinstein turns some clichés of the genre on their head: Alex's main competition for quarterback is not a conceited jerk, and, in fact, he becomes one of Alex's biggest supporters. Readalikes: Tim Tharp's Knights of the Hill Country and Tim Green's Football Genius. Each brings the reader along for a realistic ride through football field challenges like dishonest teammates, jealousy from other players, team politics, the pressure to win, and unfair coaches. School football players will see their own dilemmas on the pages of both. St. Martin's Griffin, 2015. 9781250069429. Members of the Navy SEAL elite sniper corps must complete some of the toughest and longest military training in the world. This is the dramatic tale of how Brandon Webb overcame a tough childhood to live his dream and enter the exciting and dangerous world of Navy SEALS and Special Forces snipers. From his grueling years of training in Naval Special Operations to his combat tours in the Persian Gulf and Afghanistan, THE MAKING OF A NAVY SEAL is a rare look at the inner workings of the U.S. military through the eyes of a covert operations specialist. But it is Webb's second career as a lead instructor for the shadowy "sniper cell" and Course Manager of the Navy SEAL Sniper Program that trained some of America's finest warriors—including Marcus Luttrell (LONE SURVIVOR) and Chris Kyle (AMERICAN SNIPER)—that makes this story so special. THE MAKING OF A NAVY SEAL is Webb's tale of overcoming the odds to be the best, and a secret look inside one of the finest and most difficult military training courses ever. Houghton Mifflin Harcourt, 2014. 9780547393100. Millie Ostermeyer doesn't care about sports, not even the football game she's supposed to write up for the school newspaper. When the game comes to a halt while Coach Killdare screams at a recently demoted quarterback, she considers just how many people in her school might want to see him dead. One year later, she stumbles upon the coach's body in an equipment room, his head smashed in by a trophy. She reconsiders the list of suspects that includes her own dad, the assistant coach, and the mayor. She wants to find the real murderer, but she'll have to fight the head cheerleader, Vivienne, for information. Luckily, she has the help of Chase, the new star quarterback, though he does have a mysterious past and a snobbish air about him. Why I picked it up: I wanted to read a good teen mystery, and I haven't found too many lately that are realistic. Why I finished it: Millie is hilarious. She's super smart, but jumps to conclusions far too quickly for her own good. When she begins to examine the crime, she finds a book called The Psycho Killer Next Door, reads five paragraphs that she decides describe Vivienne to a T, and then says, "Why bother with the remaining three hundred pages?" Readalikes: Down the Rabbit Hole by Peter Abrahams. Ingrid is a bit younger than Millie, but both teen sleuths solve murders in spite of themselves. Seth Gordon’s big dream is to become a good enough online gamer to go pro on a South Korean team. His parents think he spends too much time on the computer and force him to get a job. He makes a deal with his dad to attend a major tournament: if he places highly, he can continue chasing his dream but, if not, he must give it up and improve his grades. Seth must face down more than just opposing Starfare armies, he has to win the game, win over his father, and win the attention of South Korean coaches. In this game, there is no respawn button. Why I picked it up: I wanted to find out more about professional gaming and my middle school students who would find Seth's life goals and skills amazing. Why I finished it: The description of the tournaments that Seth plays in, navigating a virtual landscape, setting up bases, coordinating attacking armies, is every bit as compelling as the action in a football or basketball game. Despite the fact that I am useless with a game controller in my hands (I spent a half-hour in the crèche where players begin Halo without figuring how to get out of the room, the last time I ever touched a controller), I was still pulling for Seth as he attempted to finish off opponents as talented and as fast on the draw as he was. It's perfect for: My nephew Shaun, a World of Warcraft maniac as well as a wrestler and baseball player. He has to juggle a bunch of activities to keep his life and studies in order. He would identify with how Seth had to get a job at a pizza parlor because his parents wanted him to have more "real life exposure." And he would like details of professional gamer fame: favorite mice and keyboards that help their style of play, signing autographs, and thousands of fans watching them on huge stadium screens. Roaring Brook Press, 2014. 9781596437753. Tula never dreamed of space travel, she liked the Earth just fine. But then her mother fell under the spell of Brother Blue, the visionary leader of Children of Earth, an organization determined to set up human colonies around other stars. Fifteen-year-old Tula has no choice but to follow her mother and sister on the journey to establish a fifth colony on the planet Beta Grande, over sixteen light years from Earth. To prepare for the journey, Tula begins to learn to speak Universal Galactica. When Brother Blue discovers this, he gives her a chance to run errands during a stopover at a space station. But when Tula begins asking him questions about what is really going on there, and why some of their essential supplies have been taken off the ship, Brother Blue decides she must be silenced. He beats her and leaves her for dead in an empty loading dock. Once the ship has departed, Tula is discovered and brought to the station's hospital. She is healed, questioned, and discovers the Children of Earth claim they’ve never heard of her. Released into the space station with no resources and no place to stay, she uses her wits, hardens her heart, and learns to understand the nuances of the aliens. Tula lives for one thing -- vengeance. Why I picked it up: Cecil Castellucci's writing always surprises me. So many young adult authors find their niche and produce book after predictable book, each of which is guaranteed to please their fans. Castellucci takes risks with every single project. As a science fiction fan who is frequently disappointed with weak and clichéd offerings for teens in this genre, I had high hopes that she would bring something new. Why I finished it: Castelucci didn’t disappoint. The book is delightfully unglamorous, with a girl character who wasn’t sent into space just to find love. Once Tula is on her own the book quickly becomes an intense survival story. She finds a reluctant mentor, a shrewd alien who runs the underground economy on the space station, who uses her for negotiations in places he doesn't like to visit. Her subsistence is hard won, and for a long while she barely has enough to eat (recycled water and the blandest protein supplements). To build up her resources, she painstakingly thinks through every trade she makes, lives in a dark bin in the bowels of the ship, and develops strategies to make complicated deals that will one day get her off the station. She is no chosen one, and I found it refreshing to have a female character who doesn't trip all over the place, follow her emotions, and then use her intuition to miraculously save the day. While Tula does find a bit of romance, which is satisfyingly steamy and tantalizing, she keeps the big picture in mind and makes hard choices to pursue her long-term goal. Readalikes:The Disreputable History of Frankie Landau-Banks by E. Lockhart also stars a tough-as-nails but emotionally sensitive heroine who uses her wits and craftiness to overcome problems and define her own success. For Frankie, this means breaking down the secrets of an all-boys club at a new school to help her survive the year and define who she wants to become. For Tula, it means retaining her humanity and simply surviving to adulthood in a place that has little to offer her, but becomes her future. Roaring Brook Press, 2014. 9781596439092. Four classmates tell the truth about Alice and her transgressions. There was the fling with the lifeguard. There was the trip to the abortion clinic. And her sexting may have distracted Brandon Fitzsimmons, Healy High’s quarterback, leading to the traffic accident that killed him. Why I picked it up: It promised a story about teens behaving badly. The first person narration from two of Alice's friends (queen bee Elaine and former wallflower Kelsie) and two of the quarterback's friends (brainy Kurt and dimwitted Josh) is the best example of the Rashomon effect I've read in a while. It goes beyond divergent accounts from different witnesses as each narrator, for different reasons, spreads untruths about Alice over the course of the year. It's perfect for: My anonymous friend, who paid the price for driving while drunk. My friend learned that giving rides and running errands after three drinks in isn't a good idea, no matter how convenient it might be for others. Brandon, unfortunately, didn’t learn this lesson.